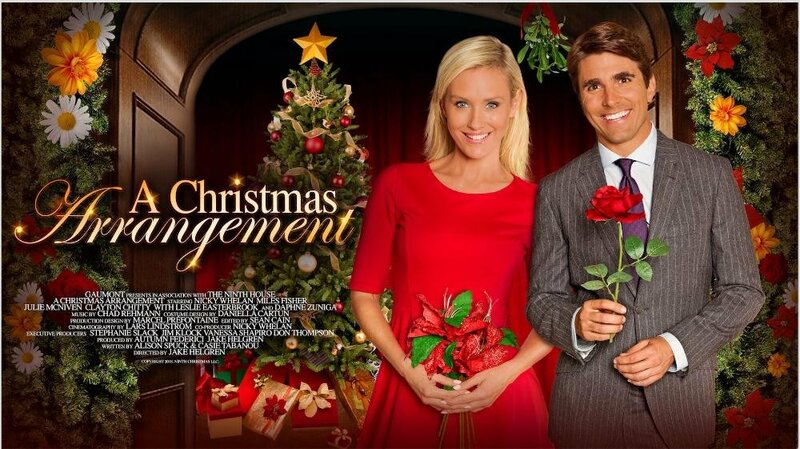 The Lifetime holiday movies A Christmas Arrangement will debut on November 21 at 10 PM. Flower shop owner Poppy (Nicky Whelan), enters the annual holiday floral show for a chance to win the grand prize but standing in her way of victory is Garrett (Miles Fisher), the underappreciated protégé of florist extraordinaire, Blair (Daphne Zuniga). While Poppy and Garrett’s rivalry heats up on the flower show floor, an undeniable romance begins amidst a whimsical holiday backdrop.